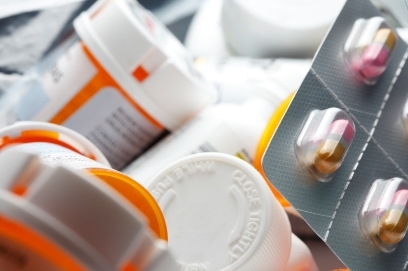 A Pennsylvania federal judge has ruled that major pharmaceutical company GlaxoSmithKline (GSK) cannot escape a suit brought by 41 insurers over purportedly defective drugs produced by a now-defunct Puerto Rican manufacturer. The insurers invoked a recent decision by the Third Circuit Court of Appeals that allowed union health funds to bring a claim against GSK under the Racketeer Influenced and Corrupt Organizations (RICO) Act. US District Judge Juan Sanchez found that the insurer plaintiffs were economically injured by purchasing the adulterated drugs. The judge recalled the Third Circuit’s ruling in a case over GSK’s Avandia diabetes drug. GSK’s Puerto Rico unit pled guilty to charges brought by the US Department of Justice in 2010. The company also had to pay $750 million to settle whistleblower claims after a former quality assurance manager filed a False Claims Act suit against it in 2004. Court documents said that the factory manufactured defective drugs and jumbled medications for years. The 41 insurers filed a suit in August 2013, claiming GSK induced them to pay billions of dollars for the defective and purportedly falsely marketed drugs from Puerto Rico. GSK did not react when presented with the problems, the plaintiffs additionally claimed, and the pharmaceutical company allegedly chose to cover the entire thing up. In response to GSK’s dismissal of the case, insurers took a page from the Avandia example, wherein the appeals court ruled that the third-parties had established RICO standing by pleading economic injury. The court found then that GSK’s alleged fraudulent conduct resulted in an overpriced drug. GSK argued that the matters with the current case and the Avandia case were wholly different. According to the company, plaintiffs in the latter case had argued that misrepresentations about the safety of the drug led both to increased prices and to higher quantities prescribed. The current case saw plaintiffs allege that the drugs were made worthless due to violations at the plant, but did not show how that fact affected the quality of the drugs. “Although plaintiffs here do not allege the same ‘excess price’ and ‘quantity effect’ theories put forth by the In re: Avandia plaintiffs, they do put forth a theory, with supporting facts, that includes elements of both theories: GSK’s nondisclosure rendered the at-issue drugs worthless, and physicians would have not prescribed the at-issue drugs at all had GSK not concealed the ... violations because plaintiffs would not have placed the drugs on their formularies,” said Judge Sanchez in response to the argument.